As I mentioned, the light on this Casio is luminous green…that is awesome in the dark! I suggest you take a selection of loved ones into a darkened room, and show off this feature. Hey! It’s more exciting than Eastenders. Anyhoo, this watch is cool. Buy it. 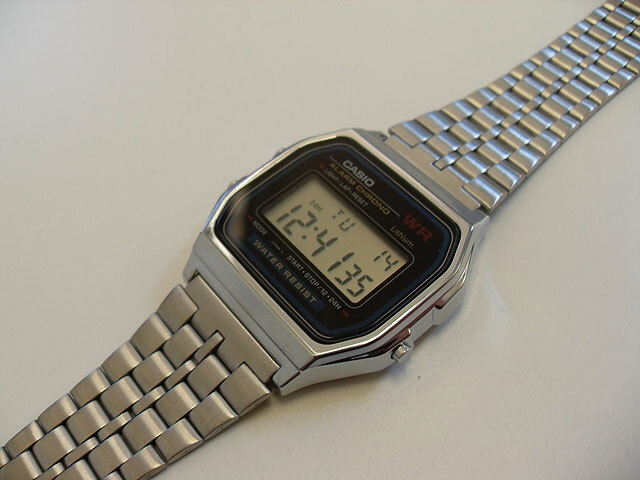 One of the very famous and classic version of Casio digital LCD watch, has also alarm chronograph and light function. yeah like this so how do I get to purchase. Not sure how this web site works , please drop aline as looking for a presents for a mate! hi, is this watch still available? If so, what are the shipping costs and time?